If you're a parent - or maybe even if you're not - the fidget spinner craze earlier this year will not have passed you by. C owns two fidget spinners himself and if you're a regular reader of my blog, you'll know that we are currently awaiting an ASD assessment for C, so they have been a great help to keep his hands occupied when he is sitting down. 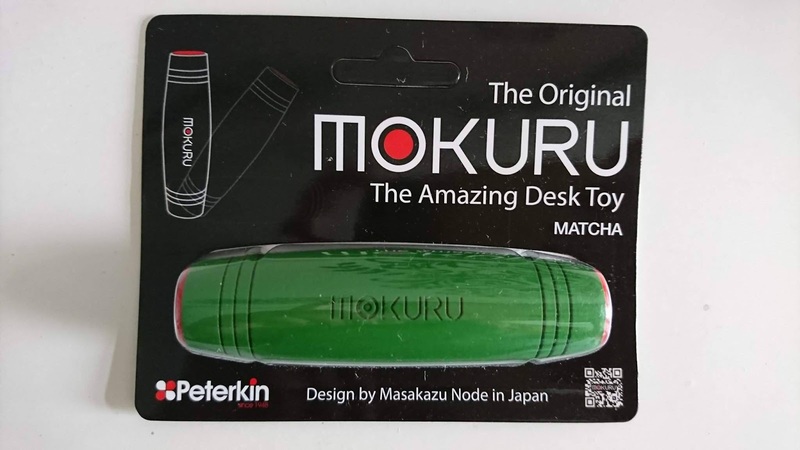 I first heard of the MOKURU desk toy when I saw them with the fidget spinners in our local Smyths Toys store but I didn't really study the packaging to see what exactly they were. They've come from Japan and are said to test your creativity and help dexterity. It's made from beech wood so it's very light and at 9cm long, it is the perfect size to fit comfortably in your hand. It took us a little while to get to grips with how to use it and to be honest, we are still learning! Each end of the MOKURU has a rubber circle so when you stand it up and tap against one side you are able to flip it across the table. This is a good starter task but when you have mastered that, you can keep trying new techniques to keeping your mind active and focused. We've been watching some YouTube videos of MOKURU whizzes and we are nowhere near that stage yet - it's amazing what you can do with this tiny little toy if you really put your mind to it and concentrate. Aside from the tips and flips, C has liked to spin it on the table when it's on its side. He gets really excited with flappy arms and straightened out legs so you can tell that he's really enjoying it. 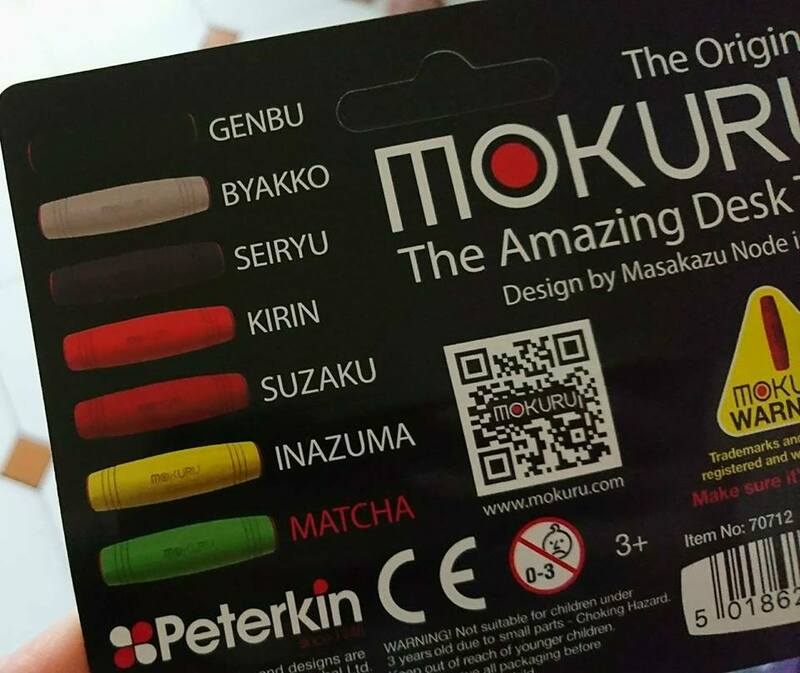 The MOKURU comes in seven different colours; genbu, byakko, seiryu, kirin, suzaku, inazuma and, the one we've been testing out, matcha. They are available to buy for £9.99 from all major retailers and are suitable for ages 3+. I have two of these nifty little toys up for grabs so if you want to win one for yourself, just enter via the Gleam widget below. The MOKURU that is sent will be at random, I cannot specify colour. 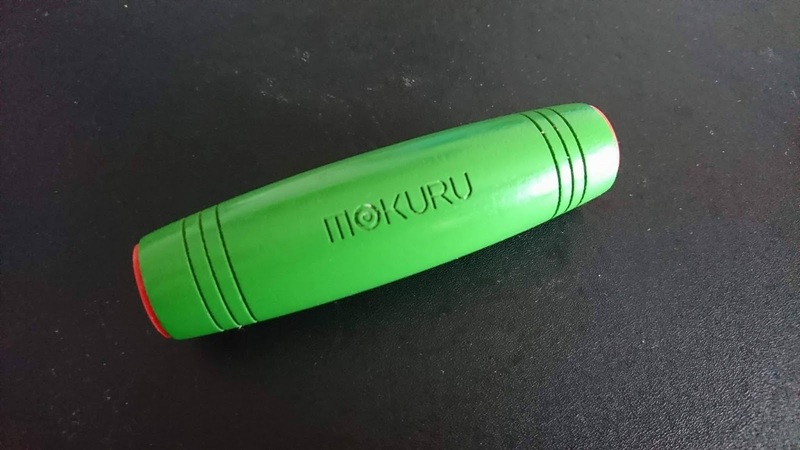 52 comments on "Mokuru Desk Toy; the new fidget spinner? | Review & Giveaway"
Wonder what tricks I'll learn! My kids would love these, they look such good fun. thanks for the giveaway. These do a look an improvement on the fidget spinners, but, as a victim of flying fidget spinners, I think these will hurt even more when aimed at my head! This looks really interesting, would love to win one for my son. A very simple design but looks very addictive watching the tricks in the videos. We'd like to enter please. It looks fun. These little things look so fun and addictive. I want to be a little Mokuru master and learn how to do all the moves. My daughter has been after one of these, she loves little fidgety toys. My son could do with this! He's such a fidgeter! my son had been talking about these and I didn't have a clue what they were! been enlightened now! My daughter loved the fidget spinner, and this looks like the next craze for the kids! Fantastic for a bit of stress relief! Thanks for the great prize - this looks more challenging than the fidget spinners.